Xena & Gabrielle fighting for solidarity, acceptance and equality. And the best, I went as Xena's Gabrielle this year. 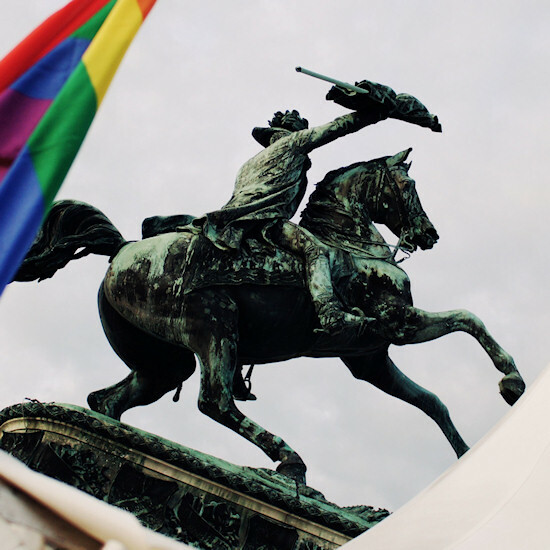 Vienna Pride flag in front of the famous equestrian statue of Archduke Charles of Austria at Vienna's Heldenplatz (Heroes' Square). 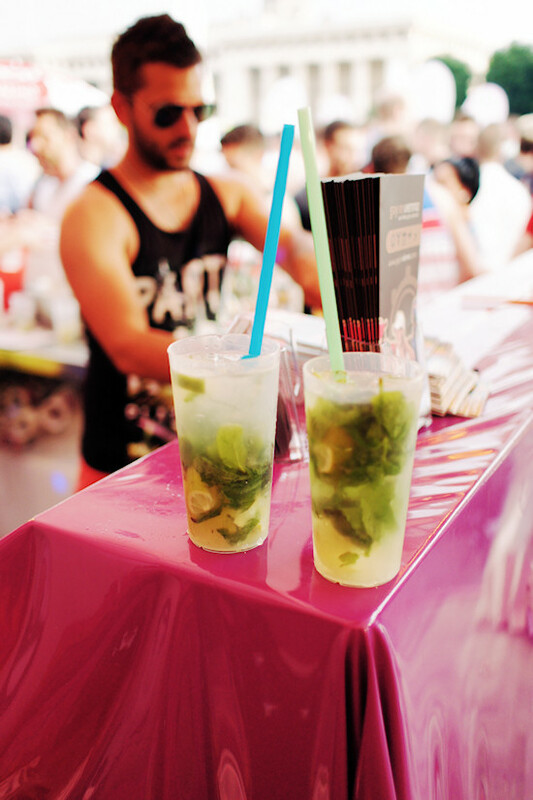 Hi, Regenbogenparade was a blast. I went as Xena's Gabrielle this year, which was also a premiere for me and Xena. Styling took some time and since we were a bit late ;) we went directly to the Vienna Pride Village at Heldenplatz, which was the start and destination point of the parade. Since 2012 the parade goes in a complete circle (counterclockwise) around the Vienna Ring Street. Funny t-shirts in one of the Pride shops at Heldenplatz. I am the truth of who you are. Our souls are united, Xena. 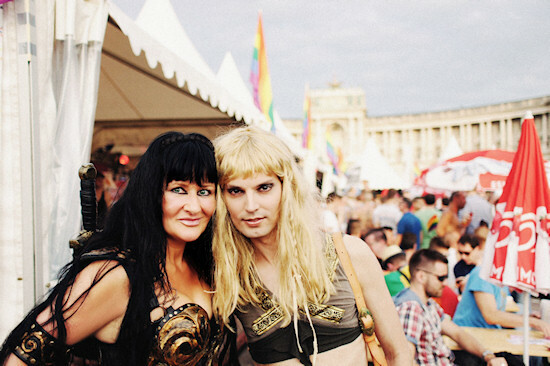 Vienna Pride panorama at Heldenplatz. Did you know that Xena & Gabrielle are often regarded as a couple in the lesbian community and that Xena, the Warrior Princess, is also an icon for many women (and men)? schöne Bilder und tolles Wetter. @Peter: Thx :) Yes, you can post it if you include the photo credit "vikisecrets.com". Wow, Du kannst der echten Gabrielle Konkurrenz machen, steht Dir. Hab' Dich erst beim zweiten Hingucken erkannt.